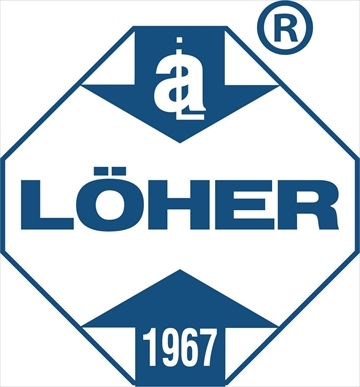 LÖHER was founded in 1967 and has registered a continuous success till today. Today brand Löher is demanded both in Turkey and worldwide among elevator manufacturers. Additional to our factory in the idustrial zone area "Atatürk" in Izmir, we also have district offices in Istanbul and Ankara. Not only in Turkey, but also in many cities all over the world we have sales agents. Löher started with elevators, since 1999 Löher also produces escalators, passenger conveyors and moving ways, therefore satisfies requirements of means of transportation such as vertical and horizontal transportation technologies. With the belief that elevators and escalators can not be seperated, Löher with its 37 years experience of elevators began with escalators production in 1999 with the support of TTGV, TÜBİTAK, TİDEB and the 9Eylül University. Apart from elevators, escalators also have a function of guideposts in buildings. Escalators in airports, schools, shopping malls, hospitals and metro stations are an important parameter for service-stabilisation. Contrary to escalators, Passenger Conveyors and moving ways with the usage of palettes are a good solution for luggages and shopping trolleys. Löher is the first escalator factory in Turkey according to CE standards. On 01.06.2000 Löher has been qualified for ISO quality certificate, on 18.12.2003 as result of the inspection authority KEMA, Löher has been qualified for the quality certificate ISO 9001:2000 and on 18.05.2011 Löher obtained the CE conformity certificate by Liftinstituut. Löher is always up to date and targets to be one step ahead. Concerning quality, capacity and production technology Löher has achieved big successes. Despite of high quality and special features of products, customers always prefer the "brand" concerning product and service on national and international markets. Therefore our elevators are registered with the brand name "LÖHER" and our escalators are registered with the brand name "T.R.U.S.T.". 35% of our productin portfolio consists of exports. On the top of our export countries there are the Turkic Republics, the rest of the exports are composed of Iran, Iraq, Syria, Saudi Arabia, Germany, Austria, England, Ukrain, the Netherlands, Belgium, Slovakia and Republic Guinea. The quality of our products and the associated interest of our customers increases continuously. Löher is of Turkish Origin without any international capital participation.